About two years ago our desk lamp broke. The man who owned the electrical shop down the road from my mum was good at repairing these things, so we took it to him and had it repaired for £20. Last month another lamp broke, but the shop has since shut so we threw it away and bought a new one. Apparently the owner found it hard to compete with the big electrics stores and repairs didn’t bring in much money. Joe and his brother Rick came from a family of textile manufacturers in the US. In 1996, tired of operating a business based on beating down costs, they founded an American bag company with Frank Clegg. Frank is a third-generation leather craftsman, coming from a family that originally ran tanneries in London. The bags are usually unlined for the same reason; linings are a weak point. Plus, leaving them unlined shows off the quality of the leather being used, with no room for faults in the skin or errors in the interior construction. The leathers are all vegetable-tanned, cut from big skins where the colours of the leather can be easily matched at the edges. Function is equally important. The handles (all made of six layers of leather) are tested to fit into the hand, perfected to the quarter of an inch. 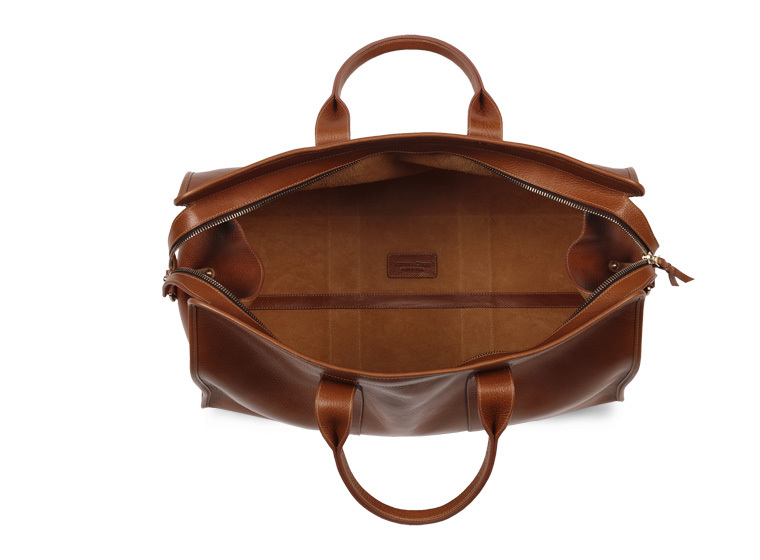 The handles of the duffle bag are also made to fit into each other, making carrying them more comfortable. Joe is a fan of many brands featured on Permanent Style. He likens the way one of his bags feels better in the hand to the superiority of an Anderson & Sheppard suit over Ralph Lauren Purple Label. It is impossible to know why they feel better unless you know how they are made. But the difference in quality can be spotted immediately, by anyone. 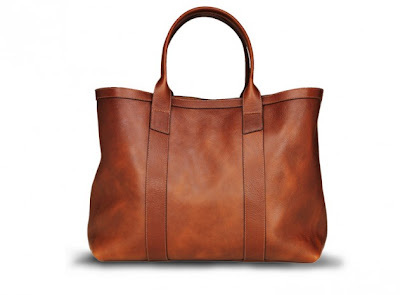 A bag doesn’t have the same personal aspects of fit as a suit. But aesthetics too are elevated by craft and attention to detail – Joe likens it to the rounded waist of a bespoke shoe (he’s a Cleverley customer of some standing). Having experienced Lotuff & Clegg bags, I can attest to the truth of everything Joe says. They remind me most of Judy Bown’s bags here in the UK, of which I have used the overnight cabin bag for two years now and it continues to get better with age. Most of all though, I love Joe’s attitude and his optimism. While based on the thinking that lay behind “companies like those of my father and Frank’s, which had no more than 300 accounts”, he has created a successful American brand online that will be in several of the country’s big department stores later in the year. He has used the scope of the internet to “hang a shingle outside the store and see who’s interested”, and seen such a response that there is already a substantial backlog. One British customer recently ordered two bags, then after they arrived ordered another three, so thrilled was he when he saw them in the flesh. There’s a good video showing some of the construction here and the leather here. You can follow the discussion on Old-world craft at Lotuff & Clegg by entering your email address in the box below. You will then receive an email every time a new comment is added. These will also contain a link to a page where you can stop the alerts, and remove all of your related data from the site.